12 YRS Ningbo Haishu Richzone Reflective Products Co., Ltd.
there's also a pocket for a hydration reservoir. 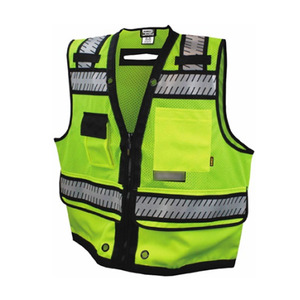 this vest also boasts breathable heavy-duty nylon mesh and a cross-draw holster. is a professional manufacturer and exporter that is concerned with the design, development and production of work clothes, safety shoes, business work shoes, special work shoes and some other protection products. &quot;Science and elegant&quot; is the supreme guiding ideology in our company, we strict with the quality of the products, let every workers who wear ketai products can show a &quot;poised&quot; spirit. With &quot;a garment delivery, a shoelace warranty&quot; service concept based on the modern market space, we establish new image of perfect protective equipment modernized enterprise, create good faith for clients, accomplish confidence benefit for team. 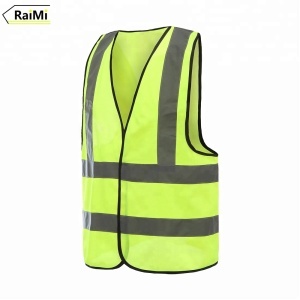 ROSUN GARMENT is a professional & leading manufacturer and exporter of high visibility clothing in China. Founded in 2009, ROSUN GARMENT has devoted ourselves to supply reliable and qualified products and services with our many years&rsquo; production experiences. We continuously control the quality from raw materials till the production and packaging. Q: Are the materials safe9 Any test for them9 Yes, they are. We use the safe materials base on EN ISO 20417: 2013, AS/NZS 4602.1:2011, ANSI/ISEA 107-2010 Q: Are you a direct manufacturer9 Yes, we are an experienced manufacturer with 8 years history. Q: Can we buy samples and bulk orders in Alibaba9 Yes, you can. 6 YRS Wuxi Caino Auto Accessories Co., Ltd.
webbing cross straps for mounting molle pouches &bull; detachable shoulder pads, fully adjustable for height and girth. what we do is more than a product! 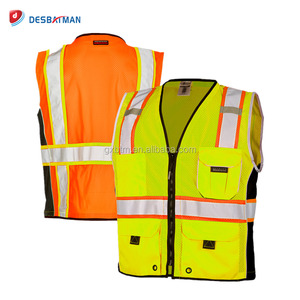 : SC06-HV017 safety reflective vest Fabric: heavy duty polyester fluorescent Other fabric options: 100% nylon, cotton, etc. 3. Quality We have strictly quality control system to make sure our goods will be same as your confirmed sample. Our professional and well experience QC stuffs control the quality strictly from the production begging to the goods leave warehouse. 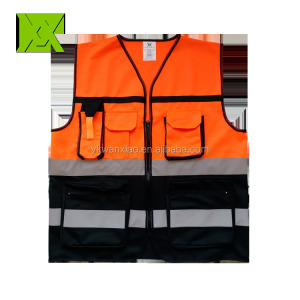 Alibaba.com offers 989 heavy-duty vest products. 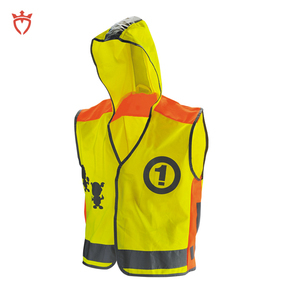 About 13% of these are reflective safety clothing, 2% are safety clothing, and 1% are men's vests & waistcoats. 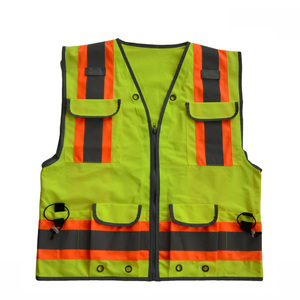 A wide variety of heavy-duty vest options are available to you, such as free samples, paid samples. 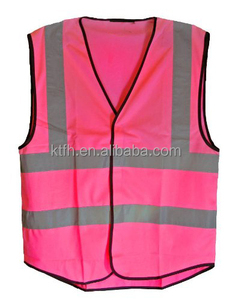 There are 989 heavy-duty vest suppliers, mainly located in Asia. 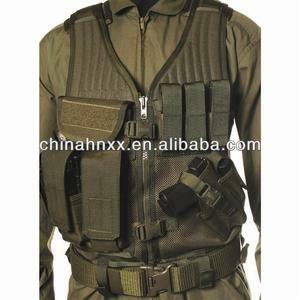 The top supplying country is China (Mainland), which supply 100% of heavy-duty vest respectively. 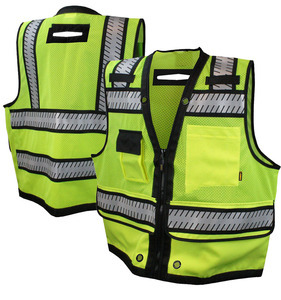 Heavy-duty vest products are most popular in North America, Western Europe, and South America. You can ensure product safety by selecting from certified suppliers, including 265 with ISO9001, 229 with Other, and 55 with ISO14001 certification.